If you’re a welder, you know how important abrasion-resistant gloves are for you. At Working Person’s Store, that’s one of the qualities we have at the forefront of our minds when we recommend products, and that's why the Black Stallion 35KCR A3 Cut Resistant ... (see full details) (see specifications) #35KCR. If you’re a welder, you know how important abrasion-resistant gloves are for you. At Working Person’s Store, that’s one of the qualities we have at the forefront of our minds when we recommend products, and that's why the Black Stallion 35KCR A3 Cut Resistant Kidskin TIG Gloves are what we have in mind for TIG welders who want to be safe on the job. You’re working with dangerous material that can really do some damage to your hands. You need to protect them with the best quality cut-resistant work gloves you can find. The best design feels great on your hands, protects them, and lasts for a long time. Let’s face it. You can’t take any chances when it comes to being safe, especially if you are a welder. You’re working with hot, sometimes sharp, equipment, meaning that you always have to be aware of your physical safety. These cut-resistant TIG gloves are very popular because they do their job! These Kidskin Black Stallion gloves are the cut-resistant version of the brand's popular 25KE TIG gloves. They have para-aramid, cut-resistant liners, which have an outstanding strength-to-weight ratio and high tenacity, making it difficult for them to be cut or frayed. This means that you're less likely to cut yourself, and it means that these are built to last. No more worrying about replacing your welding work gloves, like, every month, for a new project! The Black Stallion Gloves 35KCR A3 Cut Resistant Kidskin TIG Gloves have lots of professional features and benefits. The best designs feature a fabric that lets your fingers move comfortably as you work. In other words, they accommodate your fingers for full movement. These are made of grain kidskin. This kidskin offers a high level of dexterity, allowing you to do your job quickly. You have to be able to wiggle your fingers as much as possible when you are working with complicated machinery and tools. Additionally, these cut-resistant Kevlar gloves have seamless index fingers. These seamless index fingers provide good hand control, adding to the dexterity that the fabric offers you. We mentioned that these Black Stallion accessories protect your hands from cuts before. This is courtesy of the ANSI Cut Level A3 cut-resistant liners. These liners add an important layer between your hands and dangerous objects. Available in sizes M-2XL, the rugged A3 spark-resistant gloves have Kevlar® stitching, which provides spark and abrasion resistance, too. Safety, as we’ve stressed, is crucial for our products. 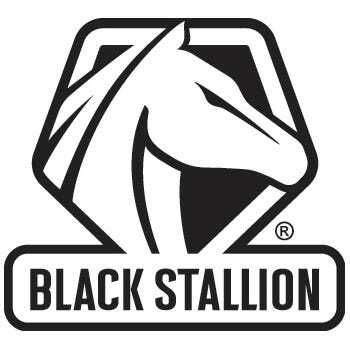 For over a generation, Black Stallion has specialized in user-centered, innovative, and high-quality products. They specialize in welding, industrial, safety, oil and gas, mining, electrical and utility, and construction markets. Black Stallion brings you five advantages. You get advantages in quality, protection, service, innovation, and value. Together, these assets give you the highest assurance that you’re getting the best products. Order your Black Stallion 35KCR A3 Cut Resistant Kidskin TIG Gloves from Working Person's Store today to get the high-quality work gear you deserve. These Black Stallion gloves start out great and look amazing with nice bright white leather but after about an hour or two of use they look like they are about ten years old and turn a dingy dark color. The gloves do what I expect from them and will last a good amount of time but loose that nice new look but other then that a great product. Black Stallion Gloves: 35KCR A3 Cut Resistant Kidskin TIG Gloves is being added to your cart.